Ol Pejeta Conservancy has partnered with Tinder, the leading social app for meeting new people, to launch a new campaign to raise awareness about ‘The Most Eligible Bachelor in the World’ named Sudan. Sudan is the only remaining male northern white rhino on the planet. The funds raised will go towards ongoing research into Assisted Reproductive Techniques (ART) by a consortium of institutions. Once perfected, this technology, in particular in vitro fertilization (IVF), will aid to achieve successful pregnancies to gradually build up a viable herd of northern white rhinos. Please donate generously and help us save the northern white rhinos. Wherever you are in the world, there are many ways to support us. And please remember that whatever the size of your donation, it will make a difference. If you are based in the United Kingdom or Europe, you can donate using Virgin Money. Click here to donate. If you are based in the United States and Canada, you can donate using CrowdRise. Click here to donate. 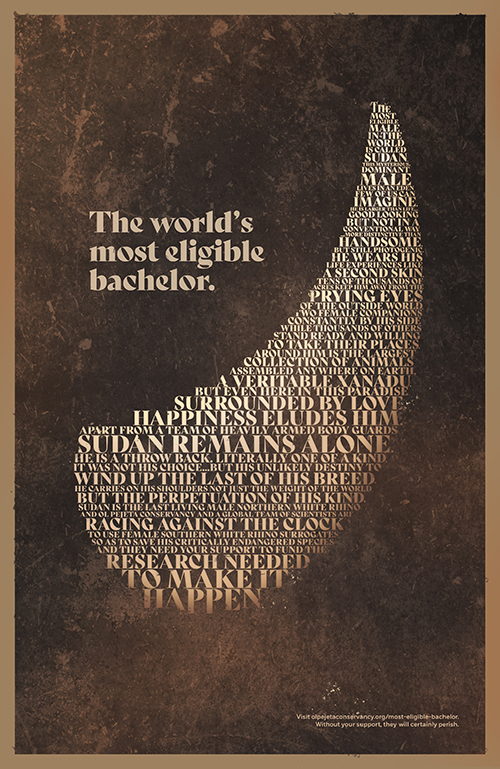 We have some exciting news for those of you who supported Sudan through our Most Eligible Bachelor campaign. You can now wear it! We have come up with some super cool merchandise that you can grab to promote the campaign and to share with the rest of your peeps. Step out in style by rocking one of our two funky t-shirts and show your support for Sudan. These t-shirts are only available for a limited amount of time so get some before they run out. 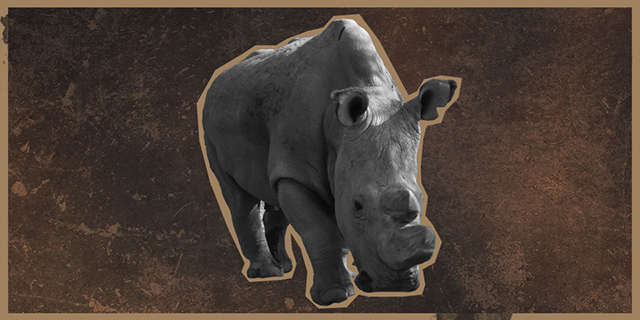 Grab some merch, spread the word, donate and let’s get Sudan a mate – and in the process save a species.